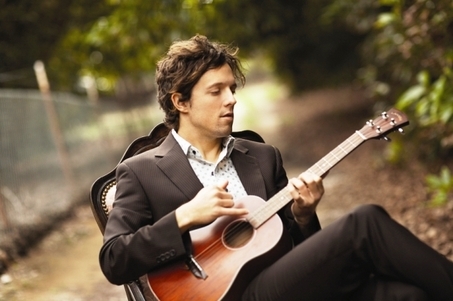 Grammy Award-winning singer/songwriter Jason Mraz in junction with Organic Valley, a family-run farming cooperative, has teamed up with Common Vision, a nutritional justice group, to show support for Common Vision’s campaign to plant 1,000 orchards at low-income schools. The campaign, “Grow Fruit. Grow Power!” just reached its crowd-funding goal of $60,000 but still welcomes additional support. Mraz recently released a YouTube video to publicize the campaign, and Organic Valley is matching every donation dollar-for-dollar. Common Vision focuses on creating sustainability in local agriculture, including fruit trees and renewable energy in communities and schools throughout California. The organization aims to inspire students and highlight the importance of being competent in global issues surrounding our Earth and the urgency for sustainable practices during the state’s worst drought in modern history. According to Common Vision, more than 6.5 million American kids live in food deserts – areas that lack access to healthful whole foods such as fresh fruits and vegetables – and 3.6 million are enrolled in free and reduced public school lunch programs. For many kids, a school lunch of over-processed, high-calorie filler is their main meal of the day. These orchards will give students the opportunity to develop a positive relationship with organic fruits and educate them on the important processes of maintaining them, including planting, tree care and irrigation, in addition to giving them access to healthy fresh fruit. For more information, visit Common Vision’s website here.